McArthur Tire will send your wheels to a professional refurbishing center that restores wheel appearance. 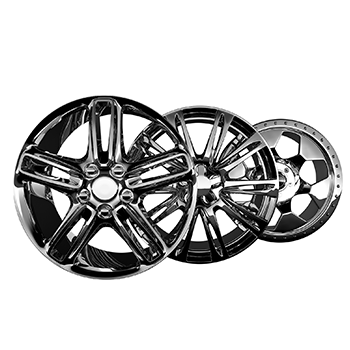 The refurbishing center handles all types of wheels, from factory wheels and custom wheels to semi-truck wheels. Not only do clean wheels look great, but they provide an added safety benefit. With polished wheels, it becomes easy to spot any damage as soon as it occurs, so you don't end up with any surprises. Contact us today to learn more about wheel refurbishing. We serve Owen Sound, ON, Mississauga, ON, Hanover, ON, and surrounding areas. Don't let corrosion or rim dents kill your car or commercial wheels before their time. We remove undesirable elements that look bad and cause damage over time. When rust and other debris appears on your wheels, be proactive. Keep up on wheel maintenance, as rust and dirt can hide defects and put your drivers at risk. Refinishing and polishing services are affordable, and a great way to feel good on the road. For more information in refurbishing, contact us. You can talk with us in person, call (519) 376-3520, or contact us online.